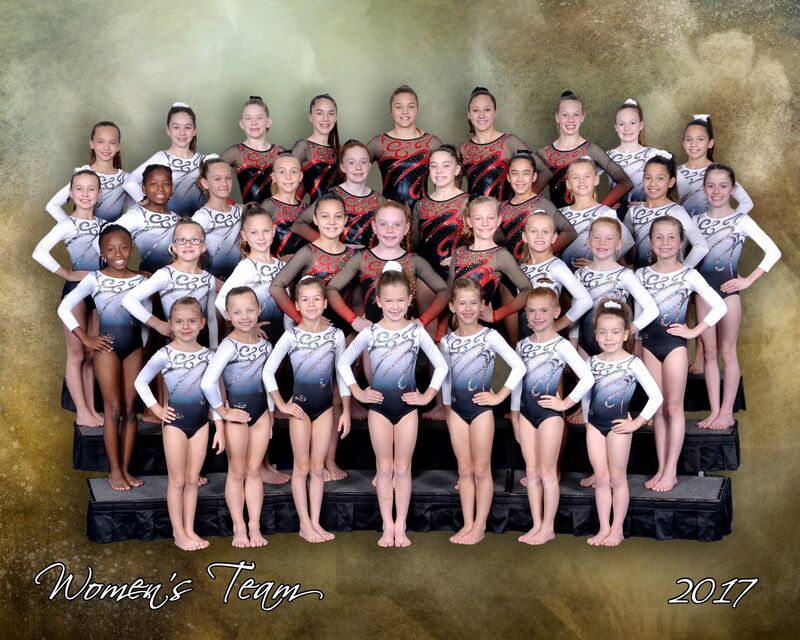 Our Girls Competitive team began in 2005 with only 6 athletes competing at Level 4. Since then, our teams have grown in size and our athletes have earned several District and State titles. We take great pride in our team program and our coaches focus on teaching our athletes strong basic skills so that they can continue to be successful as they progress through the levels of the USA Gymnastics Junior Olympic program. Gymnastics is a beautiful sport and requires a lot of commitment and dedication from the athlete and their family. Children learn important life skills through competitive gymnastics, including setting and working towards personal goals, team work, how to focus and manage their time. At Eagle Gymnastics, building character is as important as teaching gymnastics, and we are proud of each and every athlete involved in our programs. USA Gymnastics Compulsory levels are truly designed to help the young athlete develop strong basic skills to give them the strength and technical skills they need to progress to higher levels in a safe manner. Compulsory gymnasts perform the same routine at competitions, and the skills in each routine progress in difficulty as they progress through levels 1-5. At Eagle Gymnastics, our compulsory team begins at Level 3, and generally the gymnasts are between the ages of 5-8 years old. Children are selected for the team from our class programs based on recommendations from their coach, the child's strength, flexibility and desire to learn more. The season for compulsory level gymnastics in Texas begins in August and ends with State Championships in November or December. Our athletes compete mainly in the North Dallas area, however we do often travel across Texas to compete in Invitational or State Competitions. Starting at level 6, the girls get to perform routines choreographed for each athlete. The season for this level begins in January and concludes with State, Regional or National Championships by May. Our athletes have the opportunity to compete across the state of Texas, as well as travel to surrounding states. We truly look forward to what is in store for our very talented athletes... the future is looking bright as these athletes continue to Soar to New Heights!